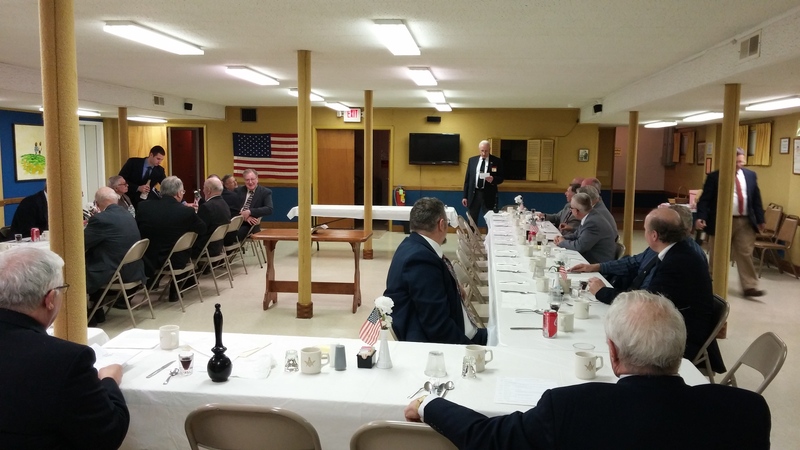 The Brothers of Hendrick Hudson Lodge #875 hosted a Table Lodge on Wednesday evening, January 25th. 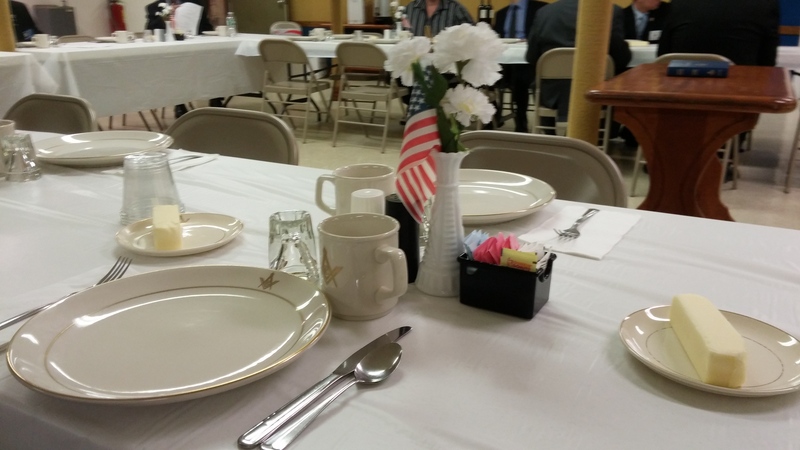 Invitations were sent to each Dutchess District Lodge, as an opportunity to table and to bring a friend. 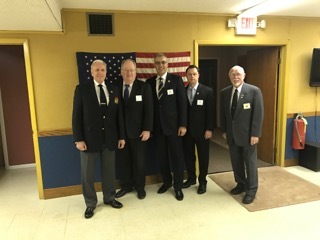 Brothers from Wappingers #671, Rhinebeck #432, Warren #32, and Beacon #283 Lodges attended. The presiding Master, W:. Roberto Reis, was unable to attend at the last minute as he was called to surgery at Northern Dutchess Hospital. Approximately 35 Brothers and friends participated in the event. W:. Bruce Cutler, assisted by W:. Jim Urbom prepared a dinner of beef stew, salad with rolls, and dessert. 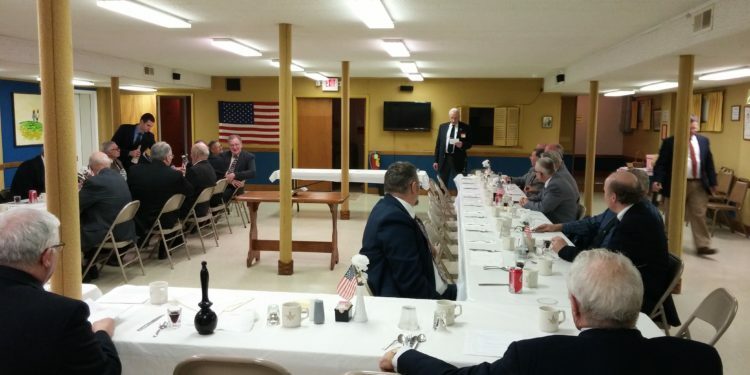 Brother Chet Damon ably served as the Master of the Table Lodge meeting. He was supported by R:. W:. Charles P. Uhle, who served as Senior Warden, and Brother Chris Damon, who served as Junior Warden for the event. 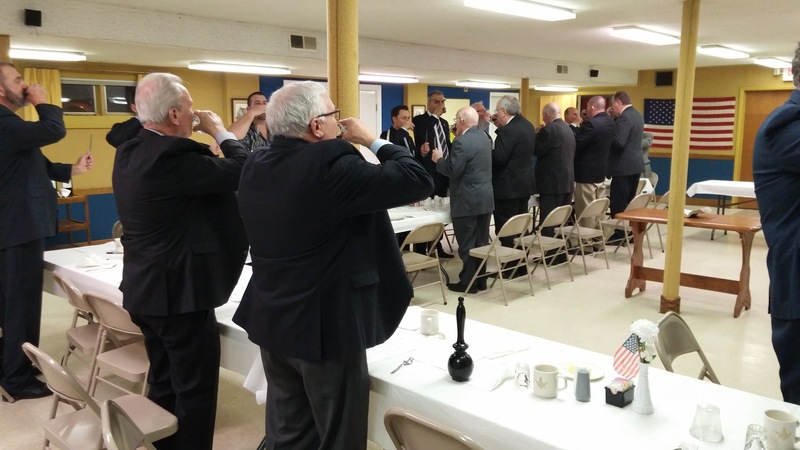 Brother Damon led the assembled Brethren through the eight obligatory toasts.